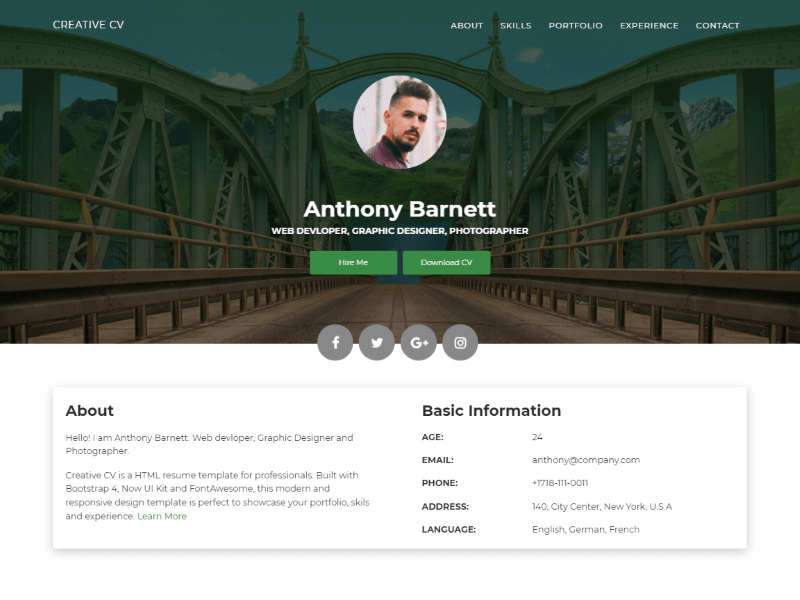 Creative CV is a professional design resume/CV HTML template built with Bootstrap 4 and Now UI Kit. Creative CV at templateflip.com is a device-agnostic, modern responsive design that is customizable. It's designed to work well on desktops, laptops, tablets and mobile phones. Creative CV is a professional design resume/CV HTML template built with Bootstrap 4 and Now UI Kit. This modern and responsive design template is perfect to showcase your portfolio, skills and experience. It is also easy to edit, customize and extend as per your needs.